Tested to the highest standards of the industry, you can count on our 1-hour FlameVaults to provide you with the utmost in fire protection. 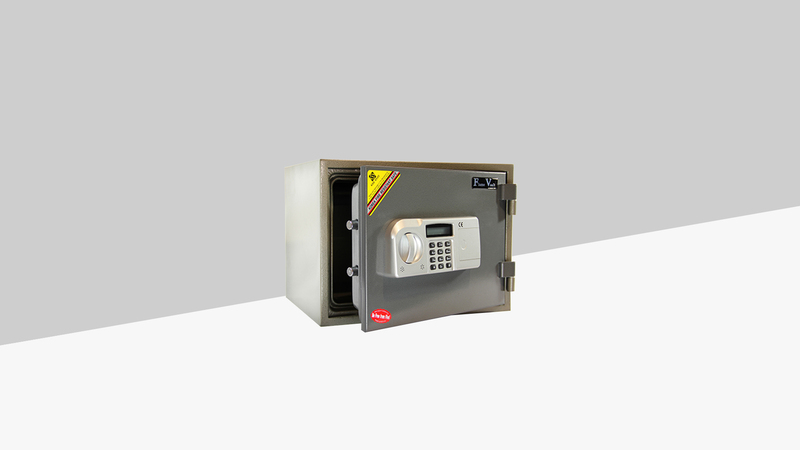 You can be sure you have the access and control you need with either a fast access electronic lock or a mechanical dial coupled with a high security key lock. A variety of sizes to fit your needs. 1-Hour fire rating at 1800 degrees provides the utmost in fire protection. Electronic lock option provides easy access or upgrade the combo to an S&G or LaGard electronic lock for even more features.